Amidst the shrill and discordant notes struck in debates over the make-up—or breakdown—of the American family, the family keeps evolving. 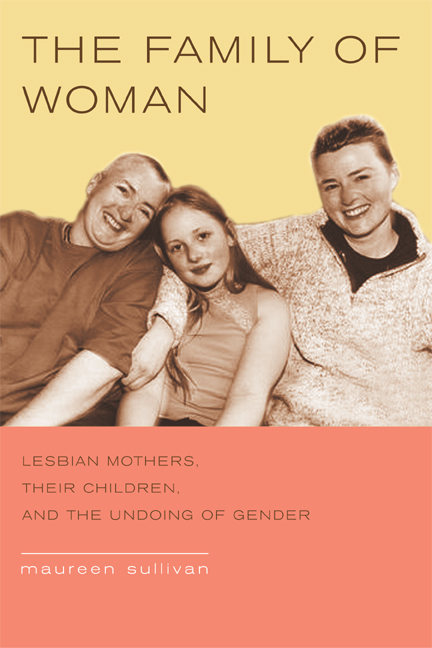 This book offers a close and clear-eyed look into a form this change has taken most recently, the lesbian coparent family. Based on intensive interviews and extensive firsthand observation, The Family of Woman chronicles the experience of thirty-four families headed by lesbian mothers whose children were conceived by means of donor insemination.With its intimate perspective on the interior dynamics of these families and its penetrating view of their public lives, the book provides rare insight into the workings of emerging family forms and their significance for our understanding of "family"—and our culture itself. Maureen Sullivan is Assistant Professor of Sociology, Northern Illinois University.